In honor of Black History Month, the Style Influencers Group L.L.C., a fearless group of multicultural digital influencers came together to recreate legendary photos of black history icons. 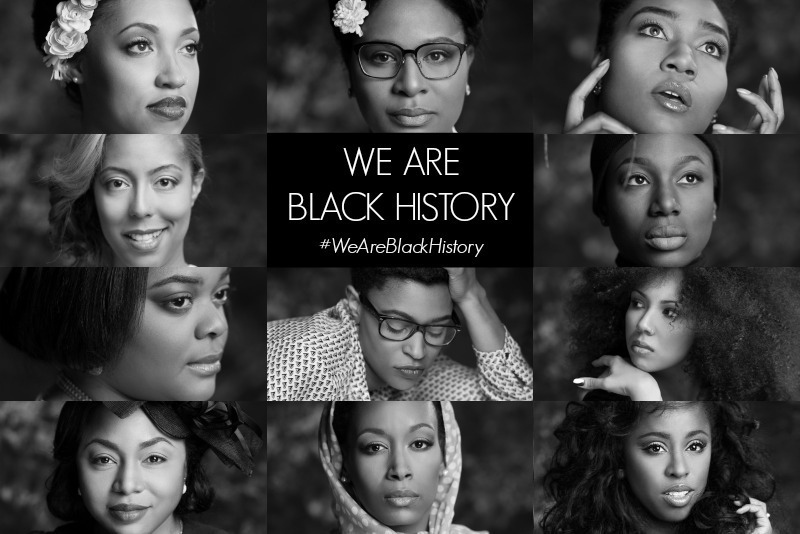 The project entitled, the #WeAreBlackHistory editorialÂ campaign, aims to celebrate positive and uplifting voices in the digital community while paying respect to Black History. “The #WeAreBlackHistory movement was created to honor our history and foster a sense of unity among powerful black women voices in the digital space,â€ says co-founder Lexi Felder via Style Influencers’ Website. “Each influencer has a personal connection to the legend they’re paying tribute to. They were selected because they’re making a tangible impact and shaping our history with their words, actions, and images,â€ says co-founder Christina Brown. “In no way are we claiming to be the next iteration of these icons. We’re simply paying homage to them for the way they’ve inspired us in our careers and beyond,â€Â says co-founder Jessica C. Andrews. Check out the stunning images from the first-ever #WeAreBlackHistory photography series on the next pages.